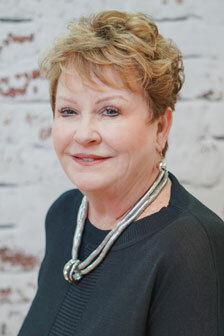 Elizabeth Burr, is to be commended for doing an outstanding job during our entire home search/purchasing process. We quickly realized we were dealing with a true professional and her knowledge was unlimited. Elizabeth worked in our best interest. Your company has earned our trust and sincere appreciation, it has been a pleasure dealing with such professionals. Working with Elizabeth recently proved to be a successful one for me. With not much notice, she put together viewings for a number of properties. She was a true professional and offered many insights about the homes we viewed. Elizabeth was informative about the area of the house I was interested, and able to answer my questions regarding taxes and such. I can easily recommend Elizabeth Burr to others searching for a home on Florida. I can't praise Elizabeth highly enough for her work on our behalf. Even though this was a cash sale, the challenges that accompany an out-of-state sale were handled by Elizabeth with skill and patience. I don't know if all of your other associates are as good as she, but if they are...you have a formidable team. I lead a sales force of 1200 insurance agents, so I recognize great talent and great organizations. Elizabeth is a great talent and you have built a great company.